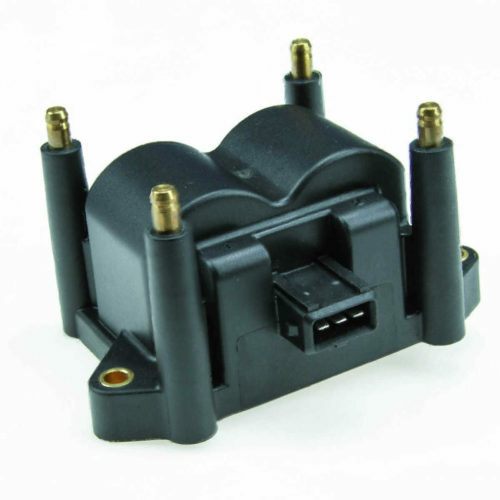 The IGN-4 four tower ignition coil is an affordable option for a hot distributor-less ignition! 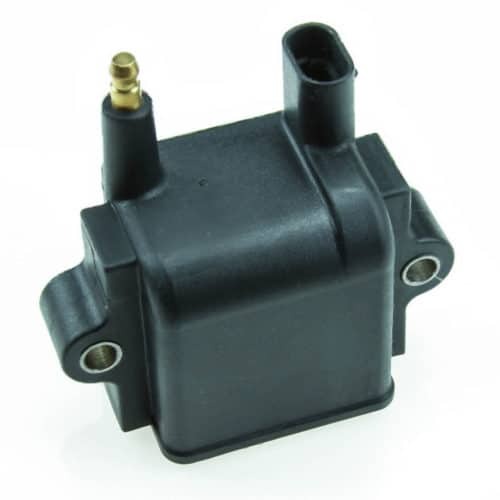 Similar to our IGN-1A coil, but this unit has four outputs that fire in wasted spark and does not have a built in ignitor. 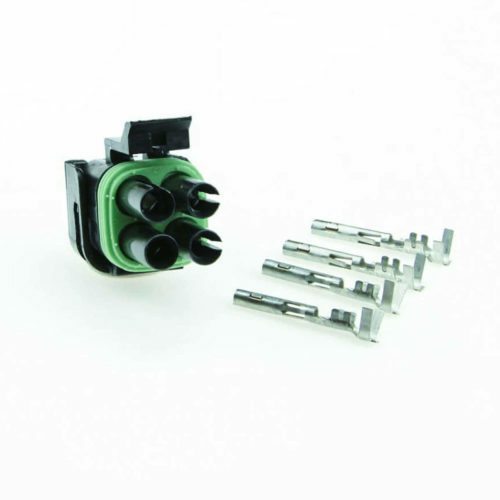 If used with our BIP373 ignition modules we recommend 3.0-3.5 ms dwell though you should fine tune this for your application. Perfect for a four cylinder engine, or use two for a V8. 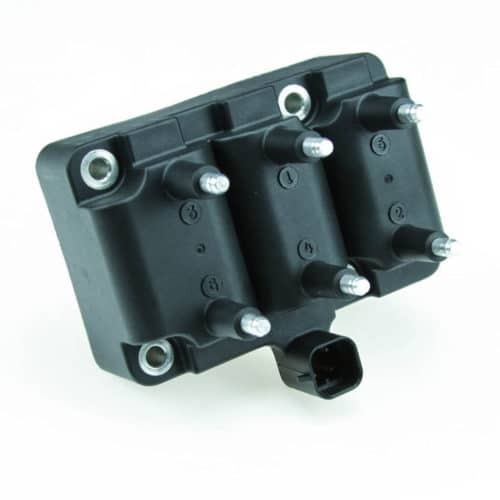 Uses standard HEI type spark plug boots. 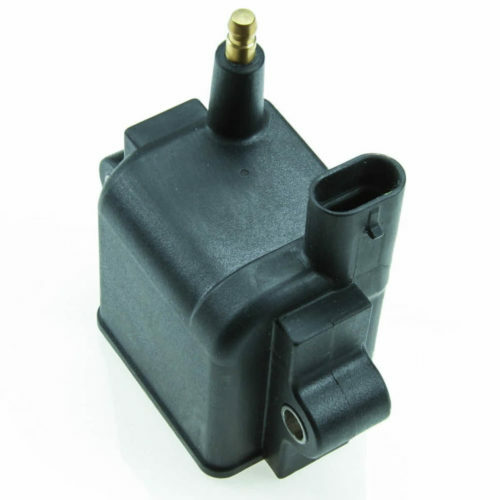 The center pin on the connector is a 12 volt supply. Each of the two side pins connects to a coil driver such as a BIP373 or QuadSpark and fires the two posts on the same side as the connector pin. It is not necessary to ground the coil mounts. The coil measures approximately 4 7/8″ wide, 3 1/4″ across, and 2 5/8″ tall. These are very solid, robust coils that will do well for you if dwell is set up correctly. However, they can be killed by excessive dwell or duty cycle. As they are race coils, the manufacturer does not provide a warranty. What is the pinout for the IGN-4 coil? What type of plug wires will I need? The IGN-4 uses standard GM HEI plug boots. No. This one will need 12 volt switched power and the outputs would be switched to ground by your ignition module. It's somewhat hotter as long as you are using a transistor with enough current capacity to drive it. The windings and spark energy are the same specs as our IGN-1As. 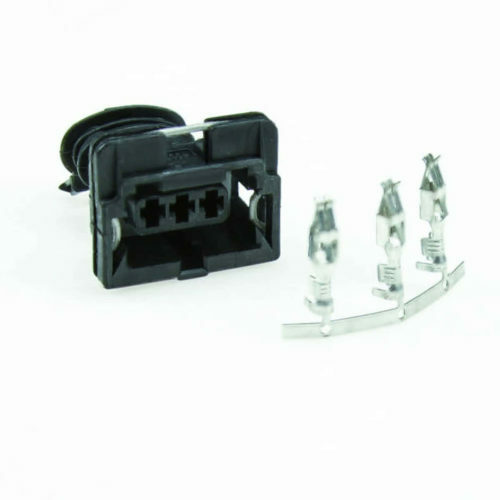 Metri-Pack crimp connector for wiring up IGN-1 or IGN-1CD coils.Like all of our 'ready to crimp' connectors- we include an extra terminal/pin, just in case you goof one up. 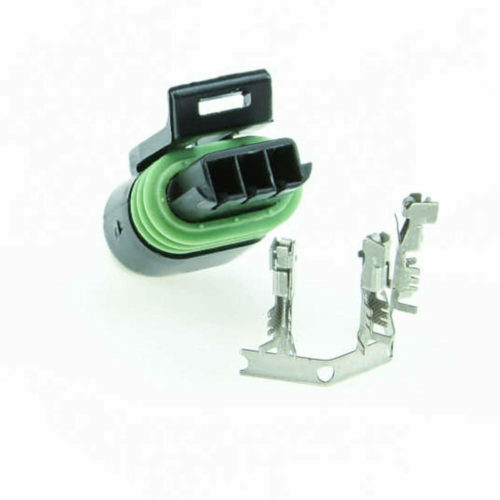 Included is a Weather Pack type connector for IGN-6 coils. The pins and seals are sized for 14 to 16 gauge wire. Like our other DIYAutoTune Weather Packs, we include an extra pin, just in case.